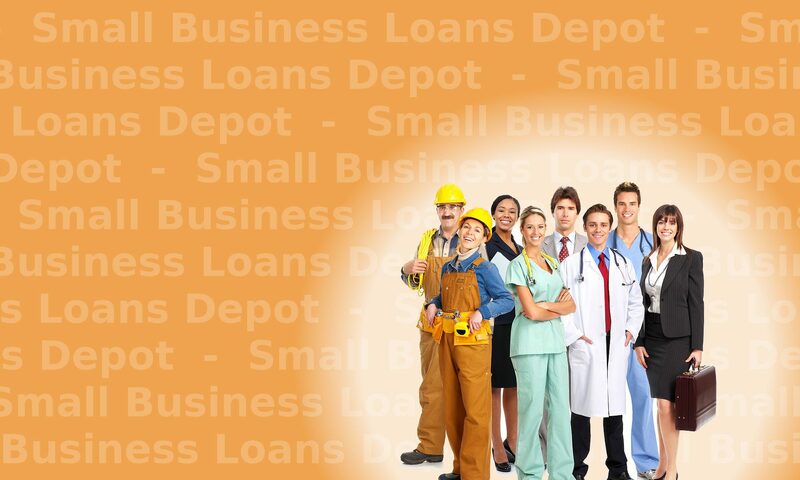 Follow the steps on how to get approved for a small business loan. The steps below increase your chance of being approved. 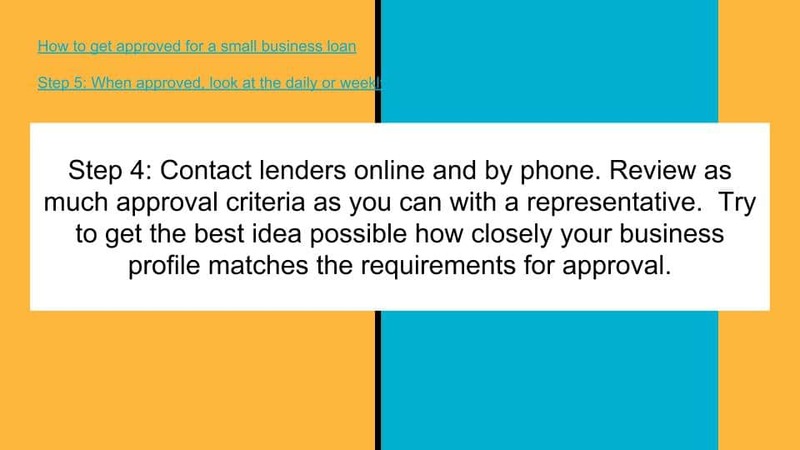 Step 1 Search online for lenders that allow you to leverage the strengths of your business when you apply for a small business loan. Consider your revenues and type of business as well as credit and time in business. Step 2 TIP: Picking a program that matches your business strengths will go a long way towards getting approved. 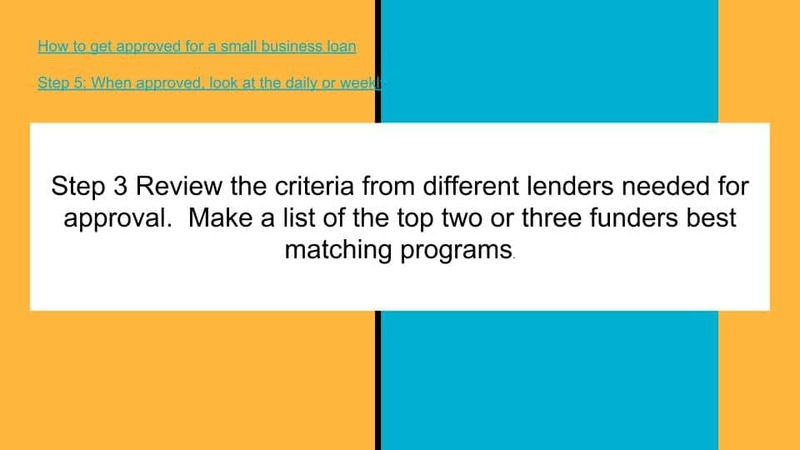 Step 3 Review the criteria from different lenders needed for approval. Make a list of the top two or three funders and their best matching programs. Make a list of the top two or three funders after reviewing the criteria. 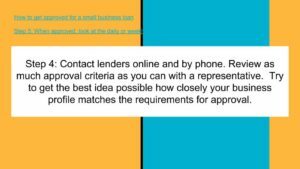 Step 4 Contact lenders online and by phone. Review as much approval criteria as you can with a representative. Try to get the best idea possible how closely your business profile matches the requirements for approval. Get the best idea how likely your business is to get approved for funding with approval criteria. 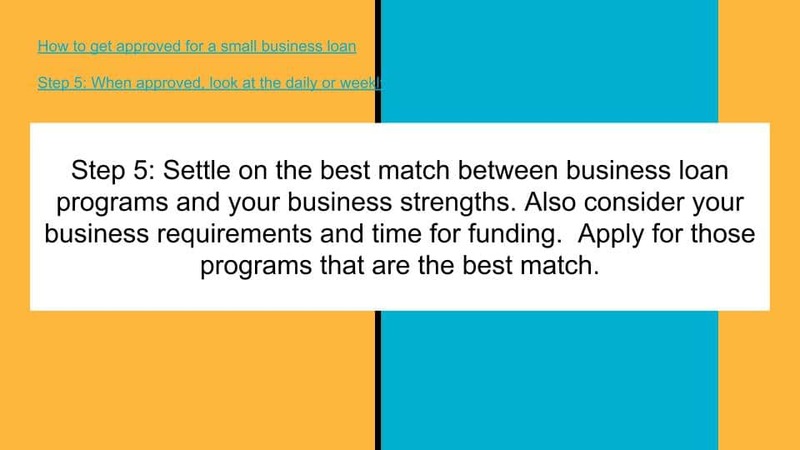 Step 5 Settle on the best match between business loan programs and your business strengths. Also consider your business requirements and time for funding. Apply for those programs that are the best match. Step 6 Read the terms and conditions on any approval to make sure your business can make the payments and meet all the requirements. Complete closing requirements to fund the transaction. Or Question, call us at Tel: 1-919-771-4177, or Question? Contact us here. 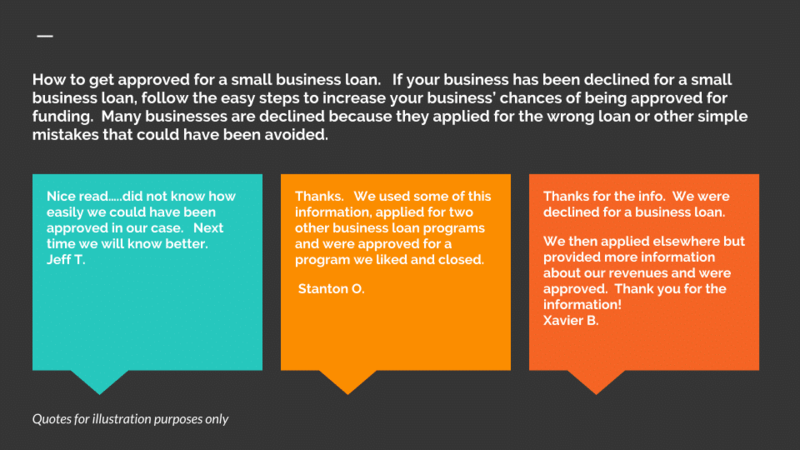 Step and tips to help get approved for a small business loan. 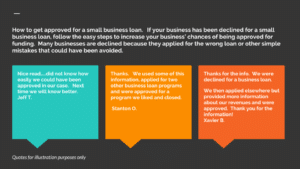 Question: How do I qualify for a small business loan? Answer: Know what your business strengths and weaknesses are. 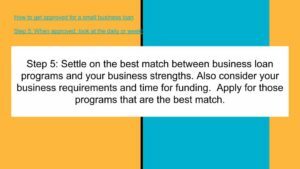 Look up funders that appear to best match your business strengths. Contact funders that your business appears to qualify with. Apply for those programs that are the best match. Question: I do not like the business loan programs my business qualifies for. How can I get a business loan with terms and rates I want? Answer: Your profile determines the business loan programs your business qualifies for. Evaluate and make a list of the programs your business is most likely to get approved for based on the company strengths and weaknesses. Pick a program from that list. The programs you want may not be the programs you qualify for. Question: My business did not get approved for enough money. How can I get more money or how can I get it increased? Answer: Ask the lender to increase the approval amount. The funder will sometimes increase the approval amount slightly just by asking. Your business may have strengths that were not known at the time of application. Give the lender any information that makes your application and request stronger. This includes the previous years bank statements and also tax returns or additional owner credit and new worth information. Other strengths include providing information on existing contracts and accounts receivables your business has. This proves revenue you expect to generate in the future. Question: I was declined for a small business loan. How do I get approved? 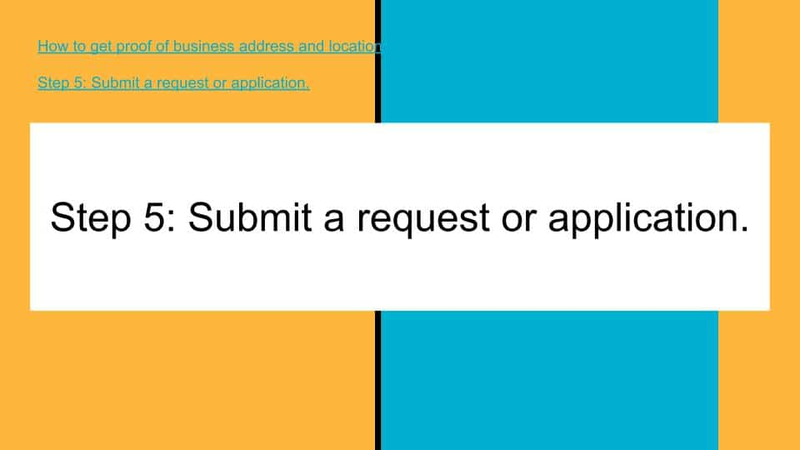 Answer: Follow the steps listed in the how to section to increase your chances of being approved after your business was declined. Contact us to review best tips when applying. We will review your profile with you and also discuss the best programs your business is most likely to get approved for. Question: How much can I get approved for? Answer: The amount you can get for a business loan depends on several factors. The main things that are looked at is business revenues and credit. Other important factors are time in business as well as the type of business and the assets of the business.